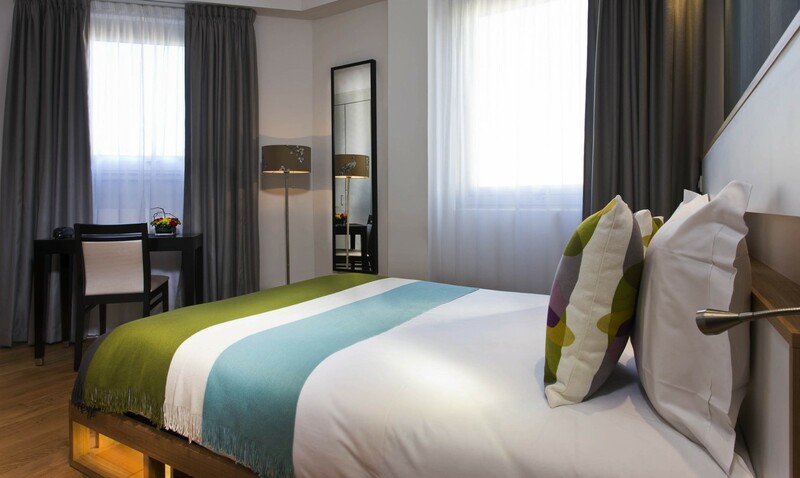 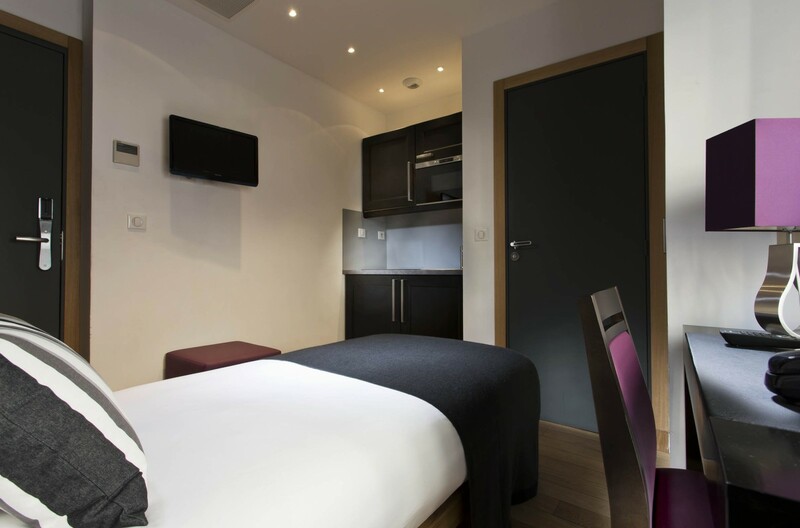 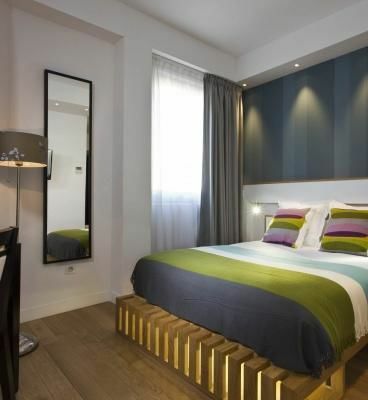 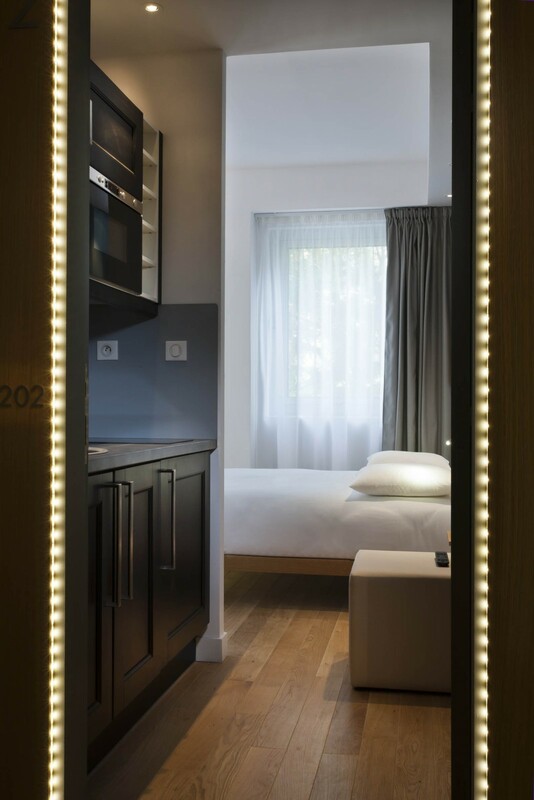 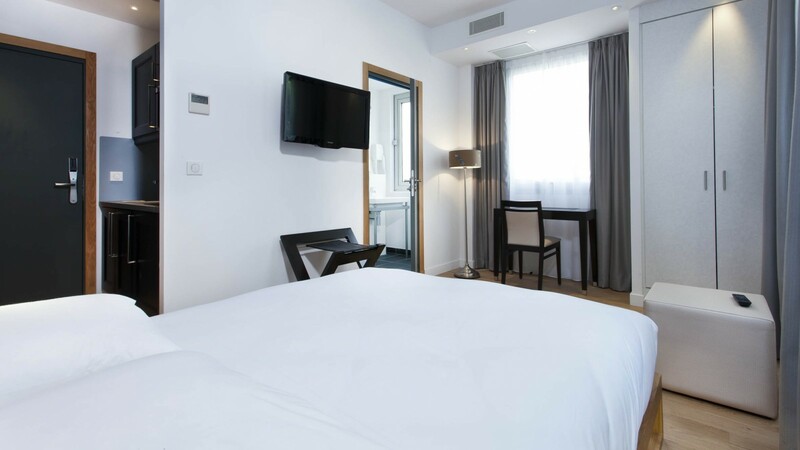 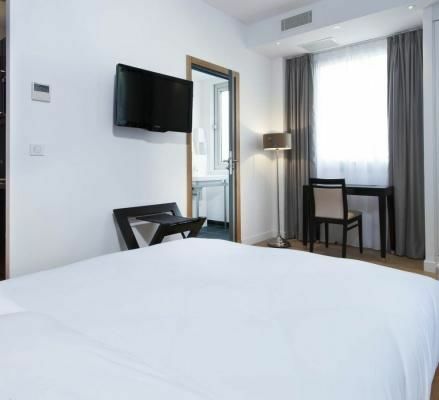 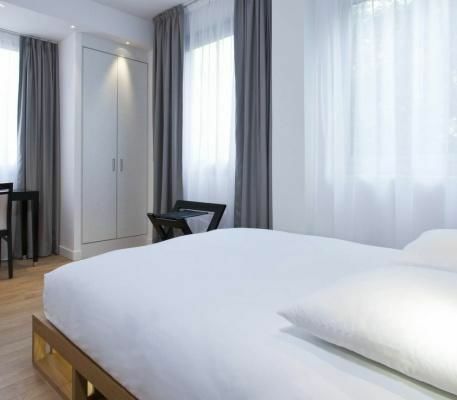 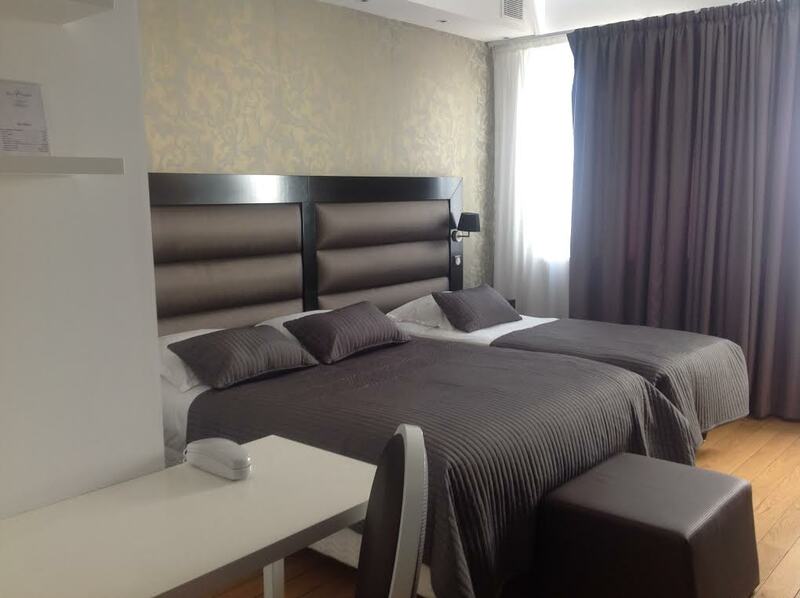 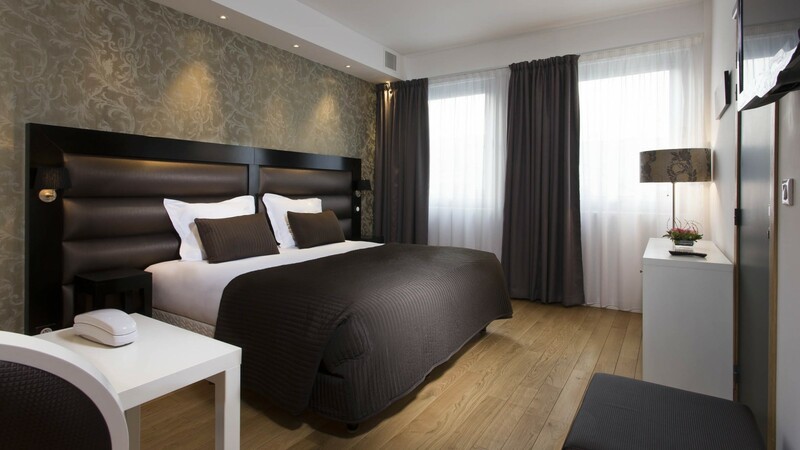 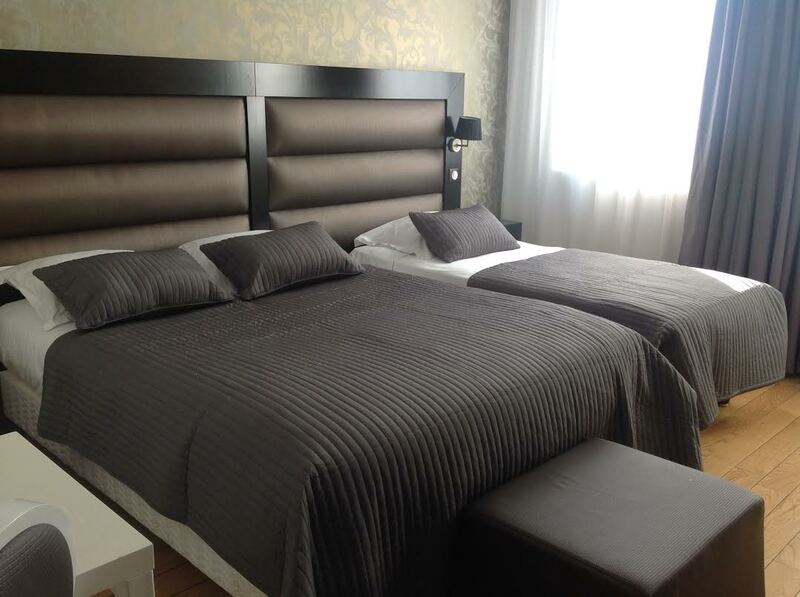 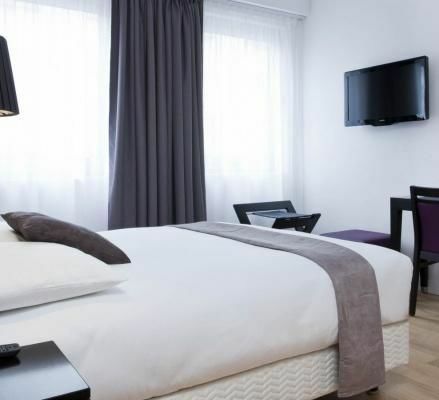 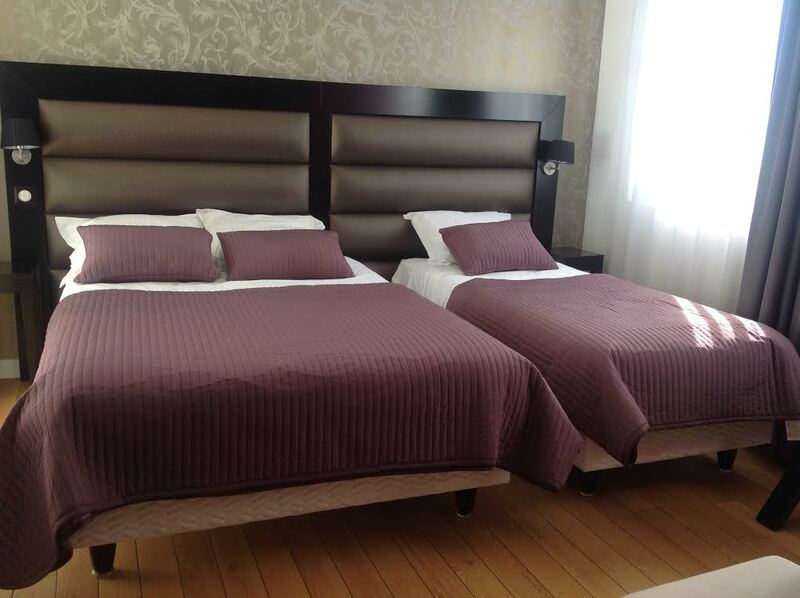 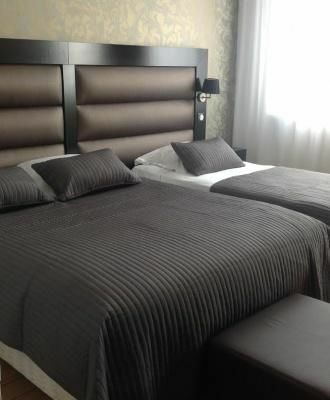 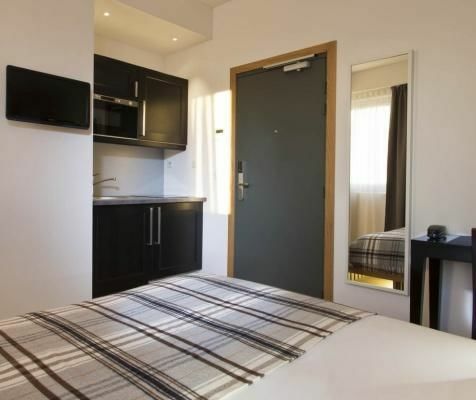 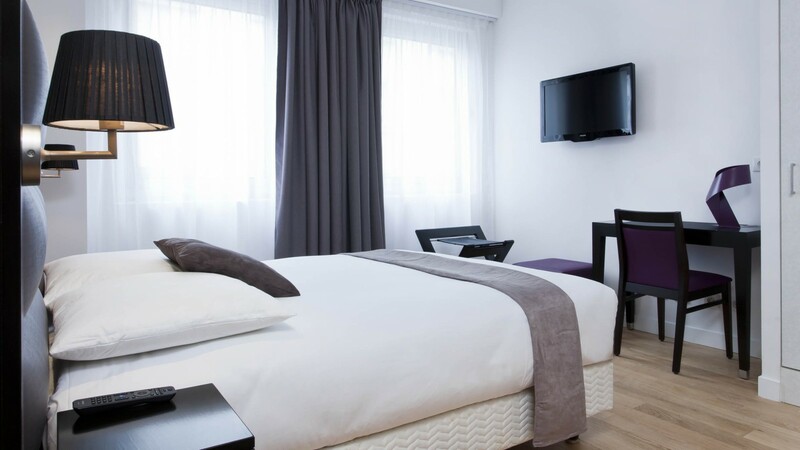 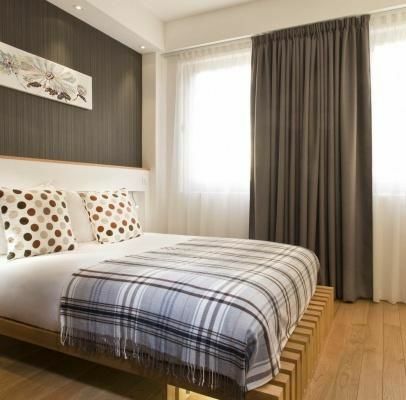 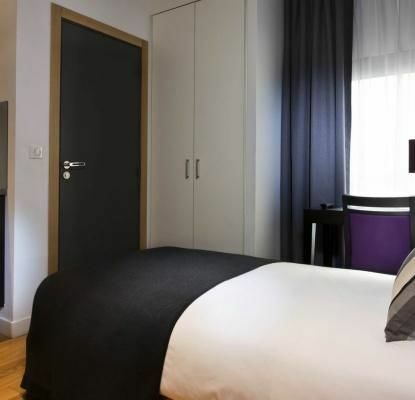 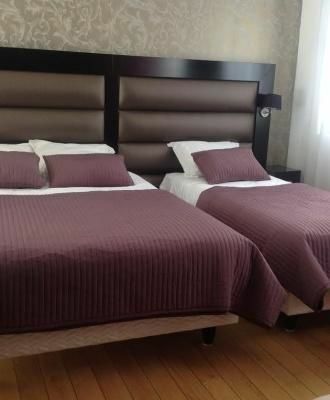 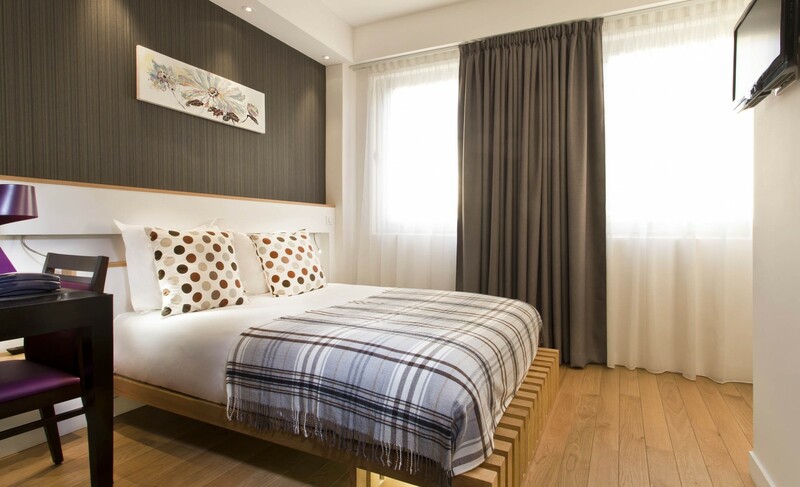 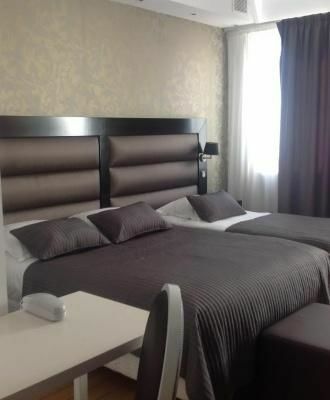 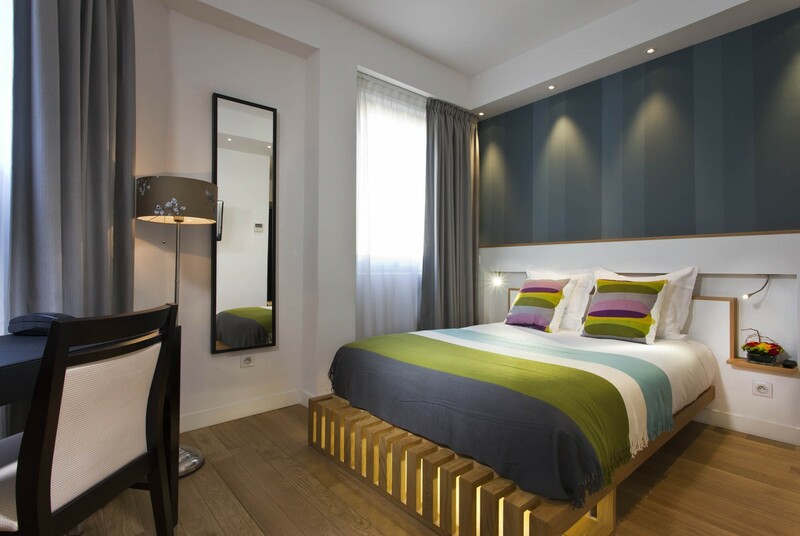 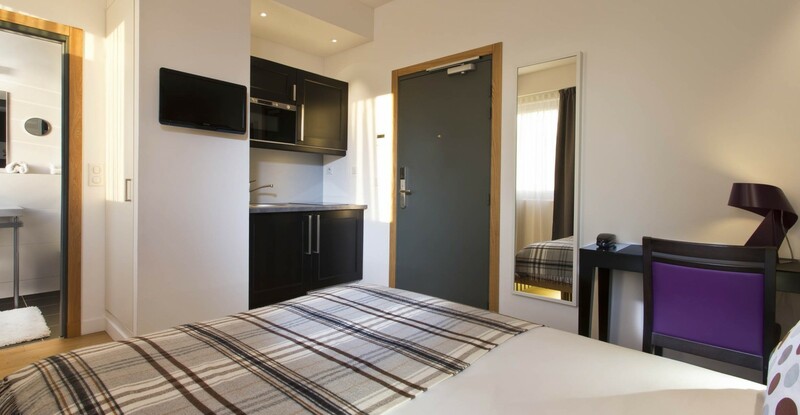 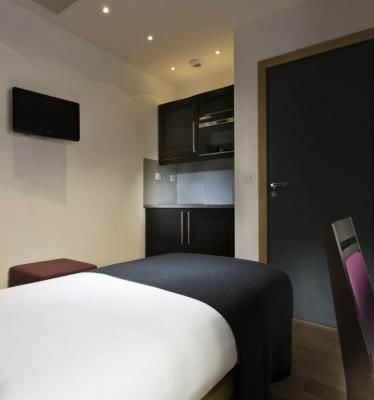 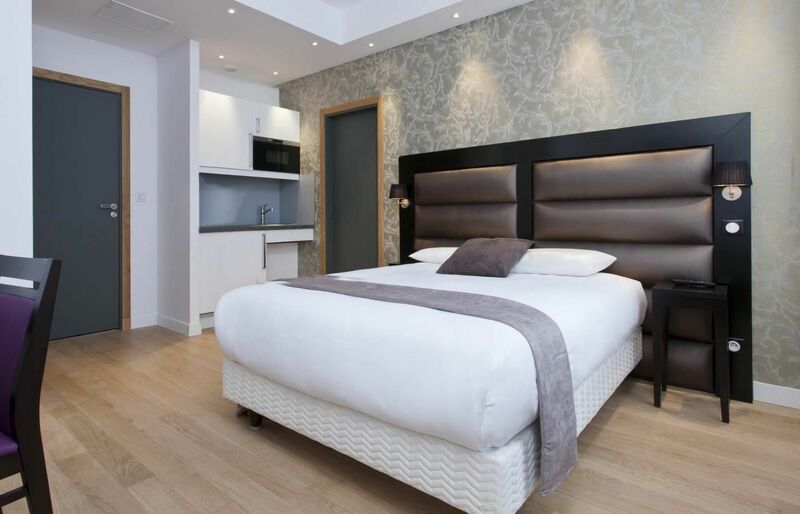 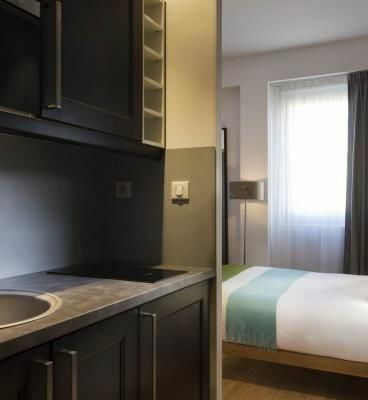 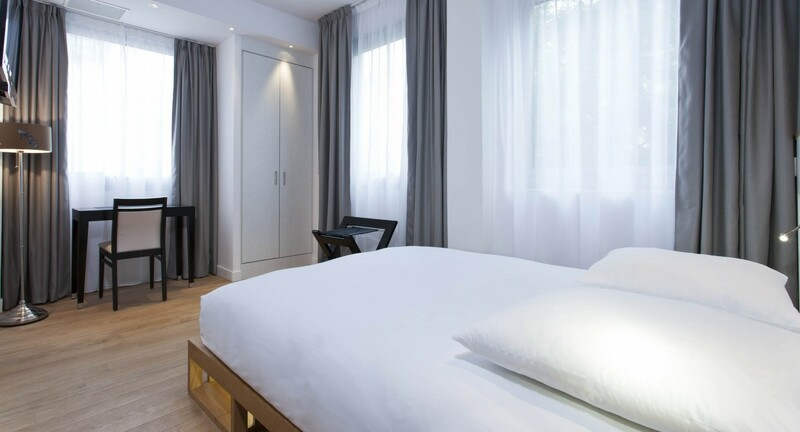 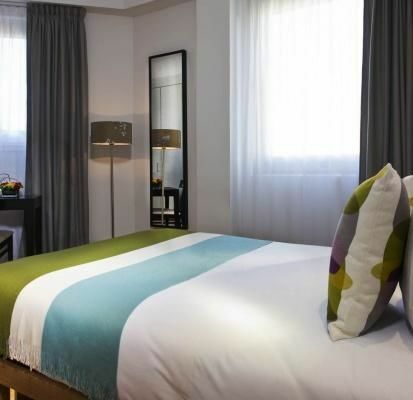 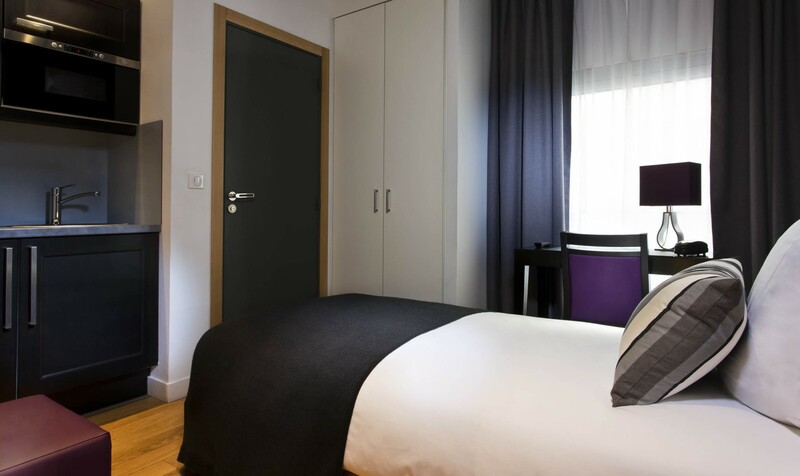 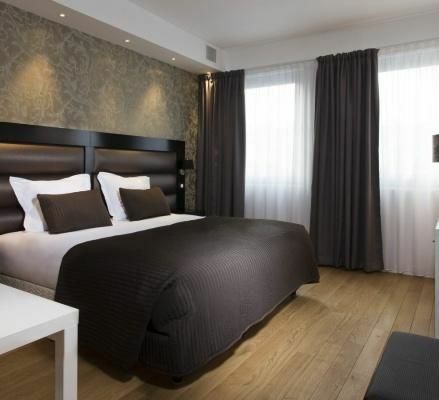 These spacious single rooms have a refined, contemporary design with parquet floors and large comfortable double beds with pristine white duvets. 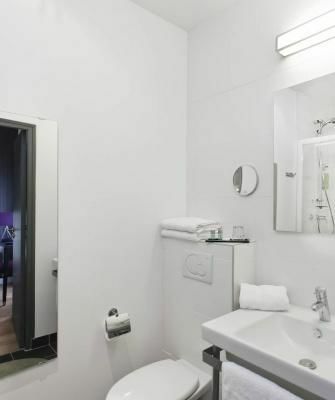 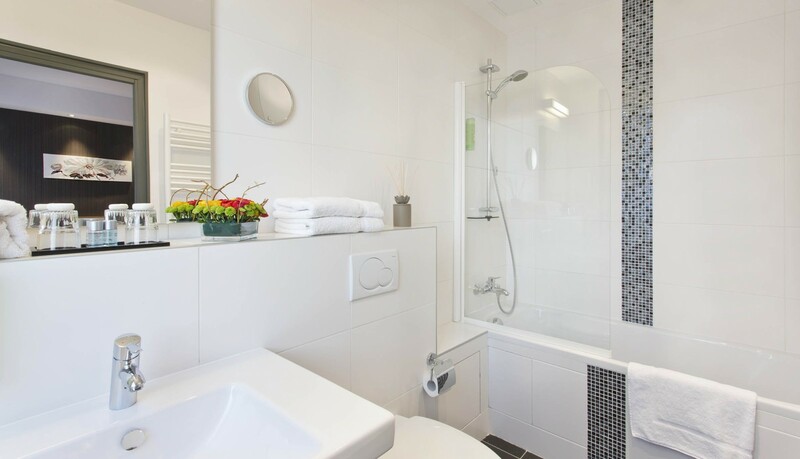 Their fully-tiled modern bathrooms are equipped with spacious showers. 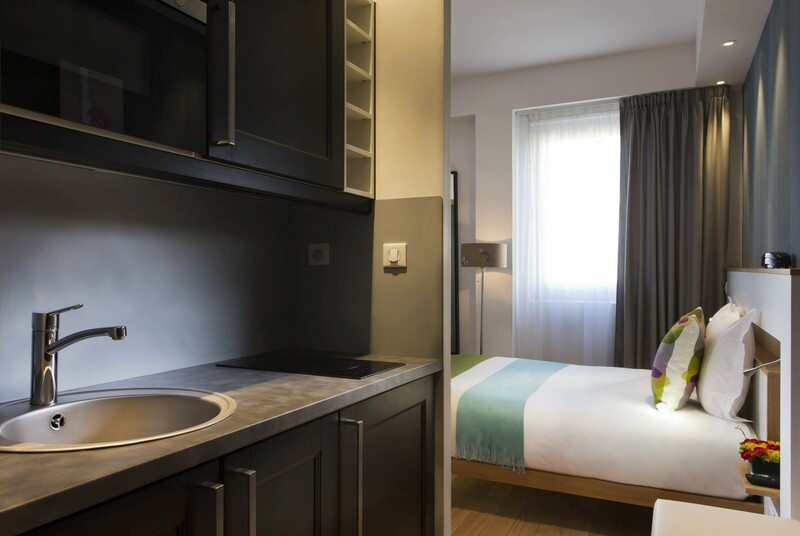 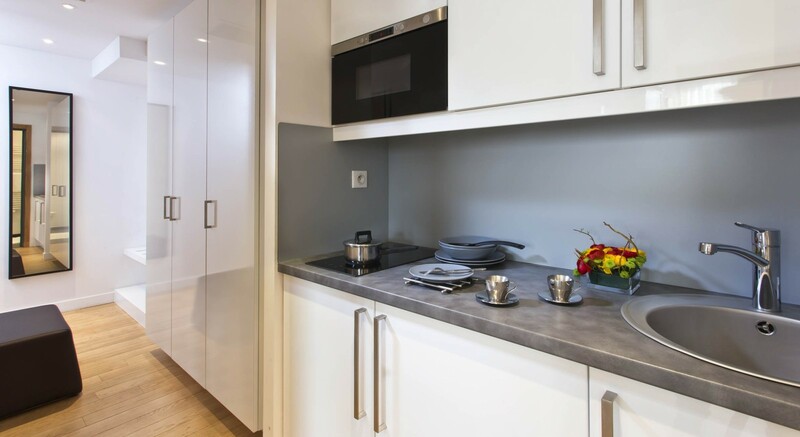 The room also features a fitted kitchenette. 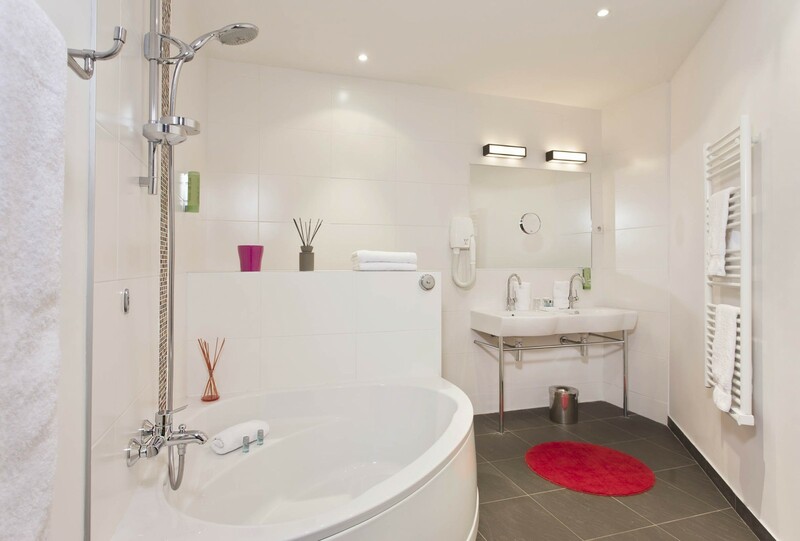 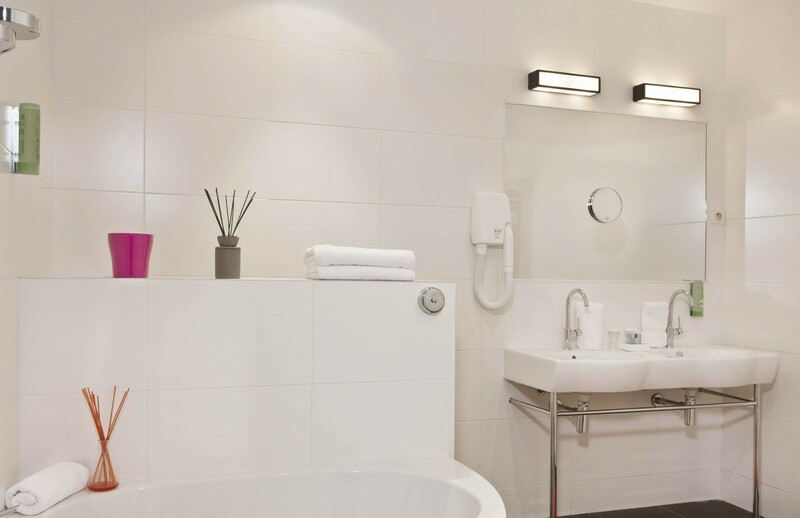 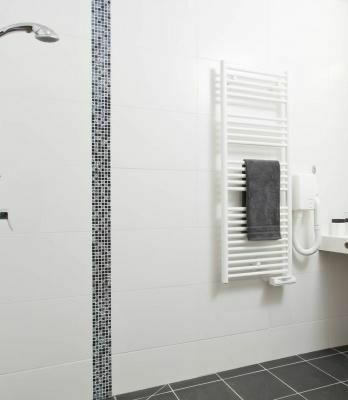 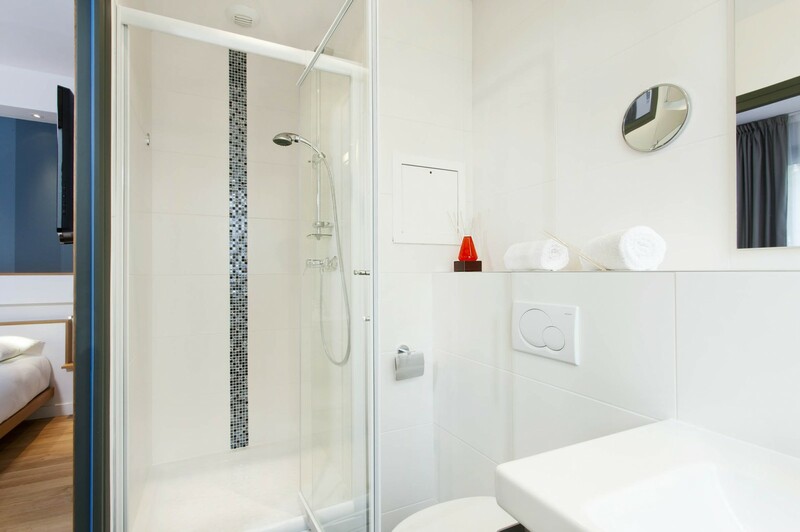 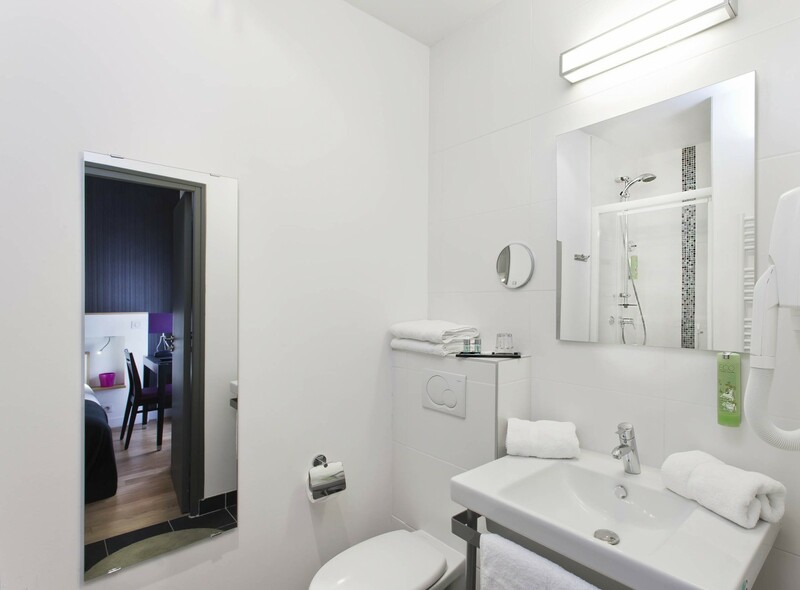 The fully-tiled modern bathrooms are equipped with spacious showers. 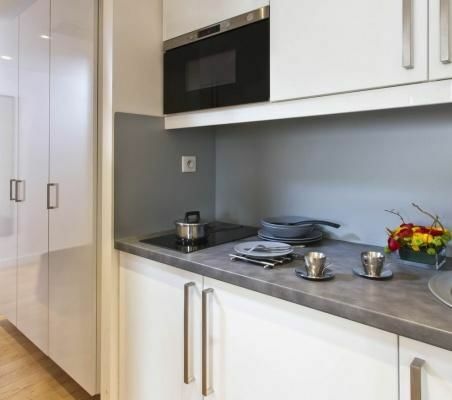 The room also features a fitted kitchenette. 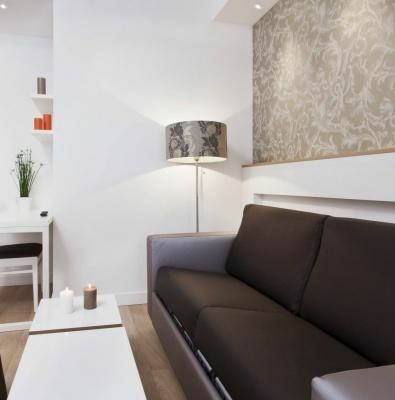 The decor is contemporary, with neutral colours and well-designed lighting which creates a relaxing atmosphere. 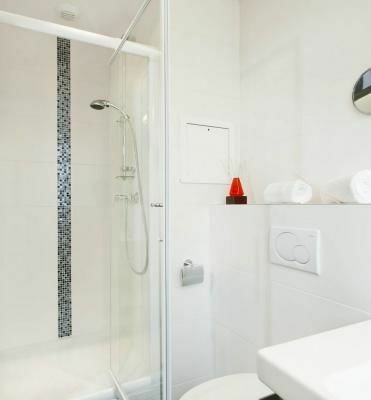 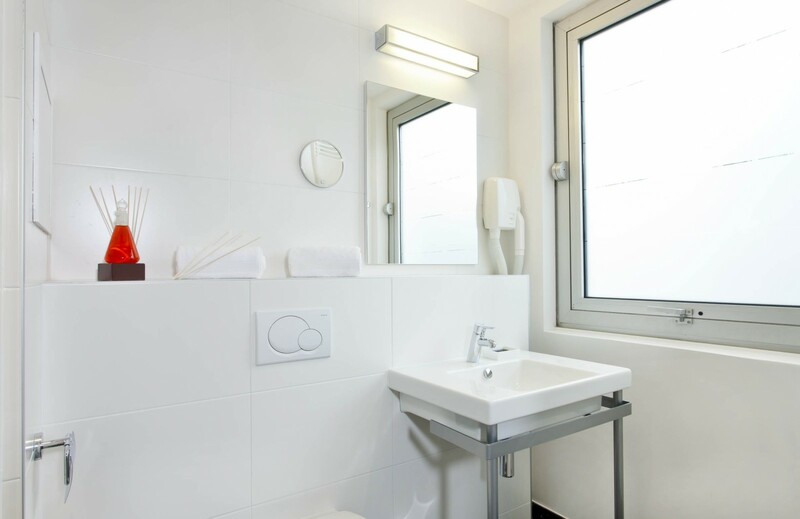 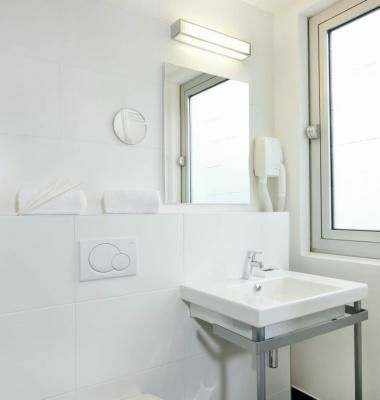 The fully-tiled modern bathrooms are equipped with open showers.